Stir up in your Church, O Lord, the spirit that animated our Father Benedict. Fill us again with Your Holy Spirit, in order that we may learn to love what he loved and practice what he taught. 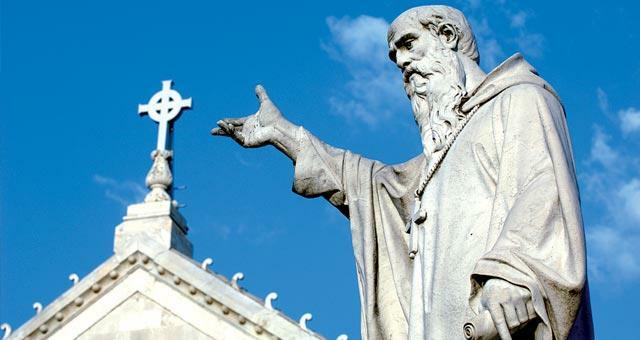 As You filled Saint Benedict with the spirit of all the righteous, grant us, your servants, who celebrate his life and all the good You have accomplished through him, his followers, and his holy Rule, to be filled with his spirit, that we may faithfully accomplish Your complete Will. We ask all this through Jesus Christ Our Lord, Who with You lives and reigns, one God, world without end.